Pleasant Pops, given their name, give the starring role in their shop to a lengthy list of popsicles made daily on site. The pops are designated by their dairy-containing status, and the day I visited, the only gluten-containing pop was the cookies and cream dairy-filled one. Of course, the pops are not made in a dedicated facility, but the worker I asked told me that the equipment is thoroughly cleaned between batches. Seeing a pumpkin pie pop on the menu, I knew that one would be my first choice, as I am all about anything pumpkin. The pop is perfectly portioned, and was not too sweet at all. The pumpkin flavor was delicious, definitely derived from real fruit. Subtle spices provided flavor support, but the pumpkin totally took center stage in the best possible way. After enjoying the pop, I definitely was a lot more motivating to bake a pumpkin pie in the near future. Not quite satiated and wanting to make the most of my visit, I decided to indulge in a second pop. This time around I selected the vegan Mexican chocolate. Creamy, indulgent, and oh, so chocolaty. I loved this pop's taste and texture, but the spice I expected from the Mexican chocolate name did not really come out in the flavor. Regardless, the pop was a hit in my book. While I was in line, I noticed that there were gluten-free cookies and gluten-free vegan bars by the register made by the local baking companies Kate Bakes and Bjorn's Bakes. I bought a couple cookies and a bar, but realized while I was enjoying my pop that the cookies contained butter so I returned them. 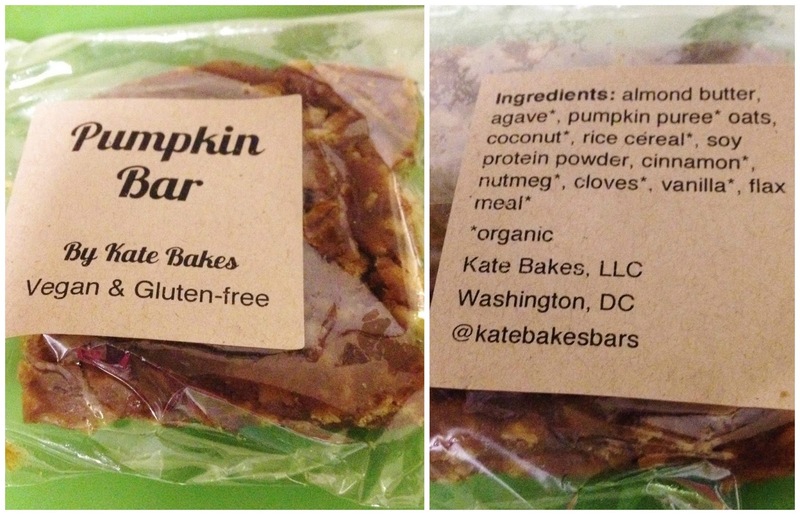 Figuring that the gluten-free and vegan labeling on the pumpkin bar meant that it would be safe, I brought it home without looking too closely at the ingredients. When I finally inspected the ingredients, I realized the bar contained soy protein powder, which meant that it was off limits for me. I gave it to a vegan friend of mine who said it was delicious. Beyond pops and baked goods, Pleasant Pops offers a whole menu of offerings (which are limited for gluten and dairy-free eaters), as well as several shelves and a cooler dedicated to locally sourced nut butters, granola, komboucha, soup, and other concoctions. You can see a list of producers they carry over on their website. Pleasant Pops totally won me over with their amazing pops and emphasis on sourcing local-made products. They prove that supporting local companies can be delicious and easy. While my popsicle eating days are numbered with winter moving in, I look forward to enjoying their pops next spring and summer!